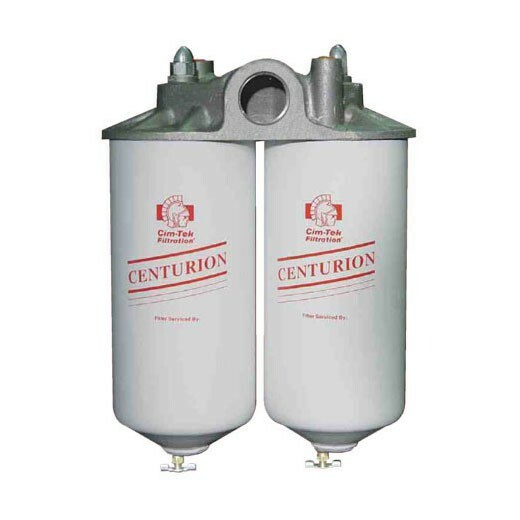 This Cim-Tek 40013 Centurion III is a high volume filter dual housing parallel flow which designed for use in service stations, truck stops, and commercial high-speed dispensing applications. 1 1/2" NPT inlet/outlet. 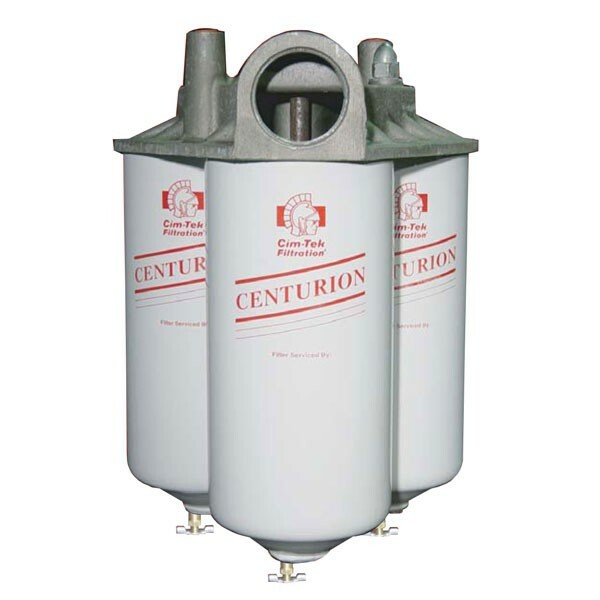 This Cim-Tek 40020 Centurion IV is a high volume three element filter housing parallel flow is designed for use in service stations, truck stops, and commercial high-speed dispensing applications. 2" NPT inlet/outlet. 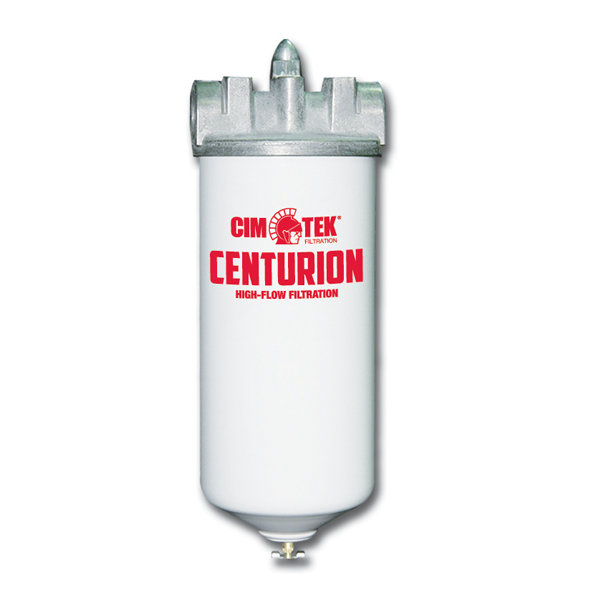 This Cim-Tek 40001 Centurion I is a high volume fuel filter housing which designed for use in service stations, truck stops, and commercial high-speed dispensing applications.